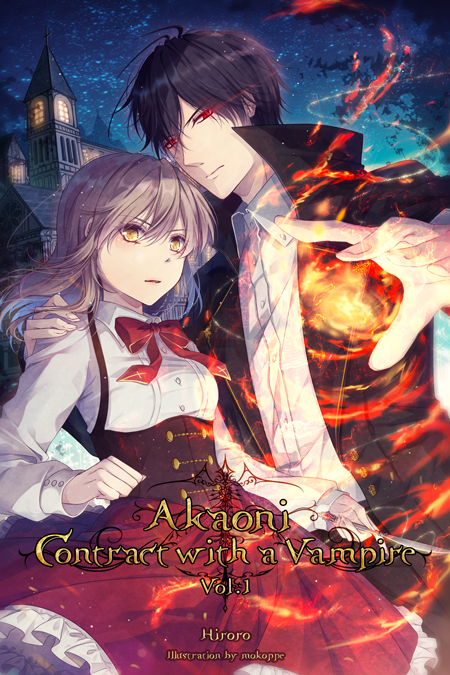 In anticipation of the English release for the first volume of Akaoni: Contract with a Vampire, I got into contact with Charis Messier, the lead translator at Cross Infinite World. I passed along a few questions for Hiroro (the author of Akaoni) and for mokoppe (the artist behind Akaoni‘s illustrations), and then Charis Messier kindly translated their responses. I believe this is the first time I’ve been able to reach creators from Japan, so I’m very excited to share some insight with all of you! Cho: What inspired you to write Akaoni, a story about vampires? Will the story mainly appeal to fans of romance? Hiroro: The original idea for Akaoni came from the simple thought it would be interesting if there was a vampire who didn’t drink blood. Why did I choose to write a vampire story? Because I was reading a vampire novel at the time I came up with the idea for Akaoni. Around that same time, the Twilight movies were a big topic, so that may have been a factor too. I hope other women like me will enjoy reading Akaoni. Cho: How has Akaoni been received as a web novel in Japan? Hiroro: I wonder about that myself. I honestly don’t know. I am an author so I leave it to the readers to decide if something is interesting or not, but I have been encouraged and supported by many people. Cho: What are some of the things you like about the web novel format? Hiroro: I believe the freedom to freely write and upload a story is the most appealing feature to both professional and amateur writers. The web novel medium is a wonderful place that allows professionals to write freely, compared to books written for publishers. For budding writers, it is a place where writing an interesting work can get you published. Cho: Was it surprising to get an offer for an English translation? Hiroro: It was a complete surprise on all accounts. Akaoni is the first novel I have written and I was worried it was poorly written. But I accepted the offer wanting people overseas to have a chance to read it too. Cho: When you’re not writing, what are some things you like to do in your free time? Hiroro: Generally, I am raising my children and taking care of my home in my free time. I have recently taken up writing video game scenarios for work, so I also spend my time focusing on that work. Cho: Any final comments to your fans? Hiroro: I don’t know if I have any fans yet, but…I will continue diligently writing, so please continue supporting me from wherever you may be in the world! Cho: What has it been like, drawing artwork for Akaoni? 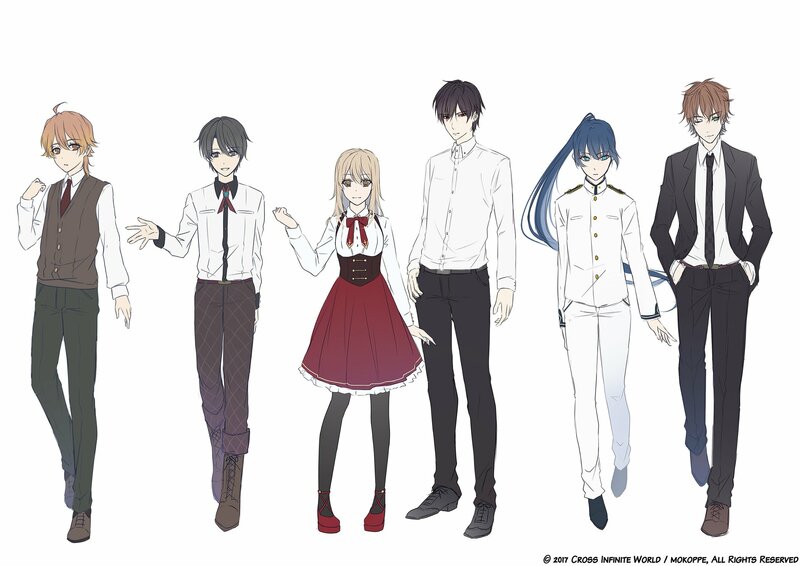 mokoppe: The process isn’t especially different from art jobs for Japanese media, but this project being aimed at an international audience got me thinking I should change the usual aesthetic and presentation. In the end, I decided to try to enchant the reader with my own style. I’m answering these interview questions before the book is released, so I am looking forward to everyone’s reaction when they get their copy. Cho: What is your process for a typical illustration? mokoppe: I receive detailed information on the world and character settings, so aside from the aspects I must include, I am always consciously adding aspects that give off light. When it comes to the illustrations I draw for fun, I typically draw whatever comes to mind, but I believe it would be wonderful if the person viewing my art will get a feel for the world and characters behind the illustration and use their imaginations to see more. I am thrilled whenever I receive comments from people who say they can imagine various stories from just one illustration. Cho: What are your favorite things to draw? Or your favorite types of characters to draw? mokoppe: I don’t have a favorite thing or topic to draw per se, but I often stick to the concepts of ephemeral, beautiful, and magical. As for characters, I like drawing both male and female characters with a little mystery to them. Cho: In what ways do you think illustrations add to the experience of reading a novel? mokoppe: I think novel illustrations are an auxiliary factor in making up the world of the work. During the art process I said I want people to use their imaginations when seeing my illustrations, but novels already have an established story. Although art is a supplementary factor, every reader’s imagination tends to diverge from the image provided by the text, so I believe the combination of the reader’s imagination with the illustrations provides insight into a world they might not have seen without it. mokoppe: It’s a pleasure to meet you all and hello to those of you who usually view my art. I’m mokoppe. With this being a translated novel, the demographic is people overseas! This is my first time drawing the illustrations for an international novel, so while I am excited to see how you like my art, I am also anxious. I would be thrilled if you enjoy the novel along with my illustrations! Thank you very much Hiroro and mokoppe, for taking the time to answer these questions! And thank you Charis Messier for making all of this possible. I look forward to reading Akaoni, and hope other readers will be able to join in for the upcoming discussion post here on August 23rd. The contest deadline will be 23:59 on Monday, August 7th. Be sure to enter by then if you’re interested in this novel! UPDATE: And the contest is finished! The winner of the drawing is MadameBlue14, who will receive volume 1 of Akaoni: Contract with a Vampire. If the opportunity arises, I will be sure to have more contests for light novels in the future! Thanks to everyone who participated in this one. I saw this and it occurred to me that I had never read an officially translated Shoujo light novel before. The concept for Akaoni seems interesting and I think I’d like to give it a shot. If I could win the giveaway that would be great, but if not I definitely plan on checking it out anyway. Hello. Official light novels are a new concept to me, and this seems like a really interesting take on Vampires so I would be interested in checking it out wether I win the giveaway or not. Plus, passionate people are something we need more of in the world, and those two seem like They love what they do. I’m happy for them and hope that the story and art are always the product of the best of their abilities. Thank you for this that was a very interesting read! So, web novels are kind of like a fanfic site? Not sure I’m understanding this exactly. A web novel is simply a novel that’s released online, on the web. In the case of Akaoni, the story was originally posted on a Japanese website called Kakuyomu (from what I can tell). I believe one of the biggest websites of this sort for Japanese works is called Syosetsu (where I think stories like Re:Zero and Log Horizon started off at). A comparable website in English might be Smashwords. It is also possible for authors to release their novels as ebooks directly on Amazon. This sounds cool. I like the idea of taking these lesser-known and unpublished authors and introducing them to foreign audiences. Hiroro and Mokoppe, you guys are so humble. I’ve read a sample of Akaoni and I love it. It’s a fresh take on the whole vampire genre with a strong willed heroine. Congratulations, MadameBlue14! As determined by the random number generator, you’re the winner of a copy of Akaoni volume 1. Send me an email at englishlightnovels@gmail.com if you are still interested in getting that. Thank you very much for this interview! It was very interesting to get some insight into the author’s and illustrator’s thoughts. I am interested in participating in the giveaway, thank you! Interesting interview. It’s always interesting to hear from authors and artists about their work. Also have to give congratulations to Cross Infinite Worlds for bringing shojo novels West. 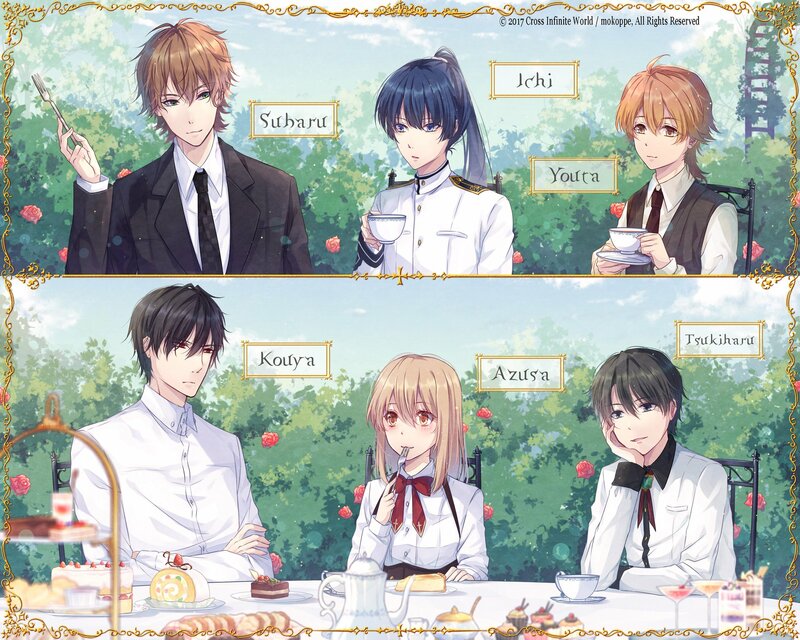 While I’m not fan of shojo (Sailor Moon and Cardcaptor Sakura are pretty much the only shojo I read), I know a couple of folks over on the J-Novel forums are hungry for female-oriented light novels. It’s good to see someone come and fill that niche. Great interview! I’m interested to read the novel now! Love the character designs too! Really eager to try this out. Always good to see light novels brought over that aren’t just “boy dropped in fantasy world does fantasy things”. I mean I still like those, but a little variety is nice. I’m glad some joseimuke novels are getting translated officially now. Also Azusa looks really cute! I haven’t read any LNs for a female audience, and this one has definitely piqued my interest. Definitely want to give this a look.